How much do raw denim jeans shrink? 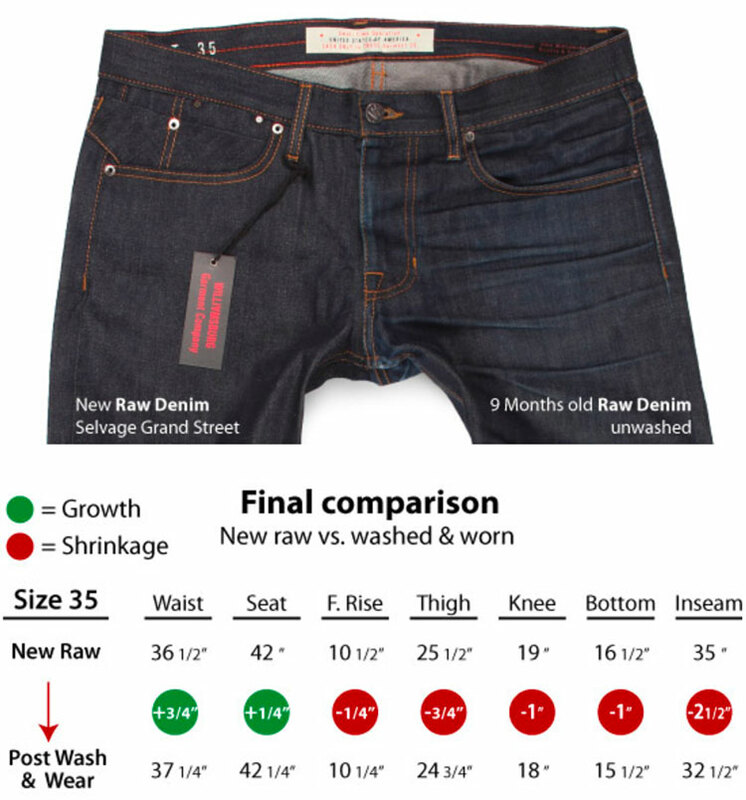 | Williamsburg Garment Co.
How much do raw denim jeans shrink? Raw denim will shrink after the first wash due to the reaction of the yarns contacting water for the first time after dying. For the same reason they also stretch more easily than yarns that have incurred shrinkage from contact with water. In general, you can expect them to shrink and grow up to about 1 size between washing and wearing. We have previously written articles that go into more detail on the subject. Click images to learn more. 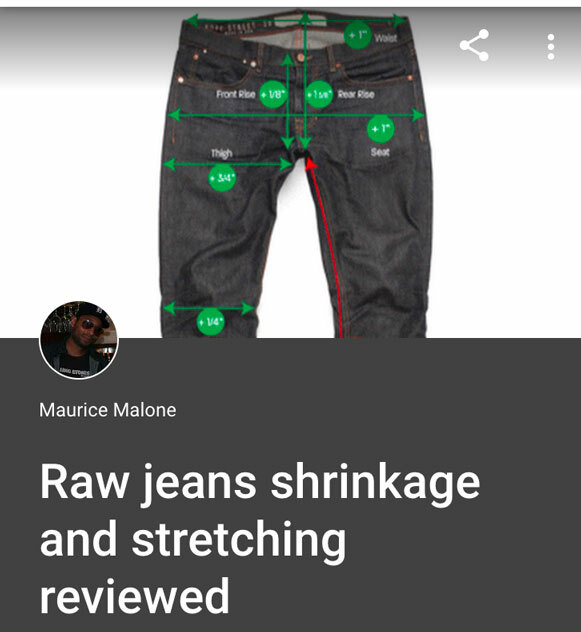 We have a Google+ page named "Raw jeans shrinkage and stretching reviewed" where Williamsburg's denim designer Maurice Malone highlights articles about the subject. Please follow the page to stay updated on new news articles on the subject.